I have written about Pure Markt Amsterdam, an artisanal farmer’s market several times, covering the fresh produce and the family style atmosphere. 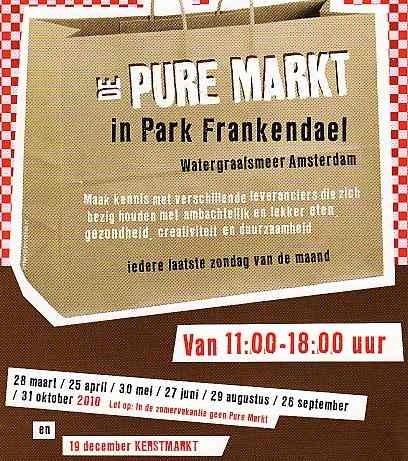 So today I will leave with just a little reminder that the next Pure Markt is coming up on 25 April, as usual the last Sunday of the month. its fantastric,prices are good+good food. Really worth going to.